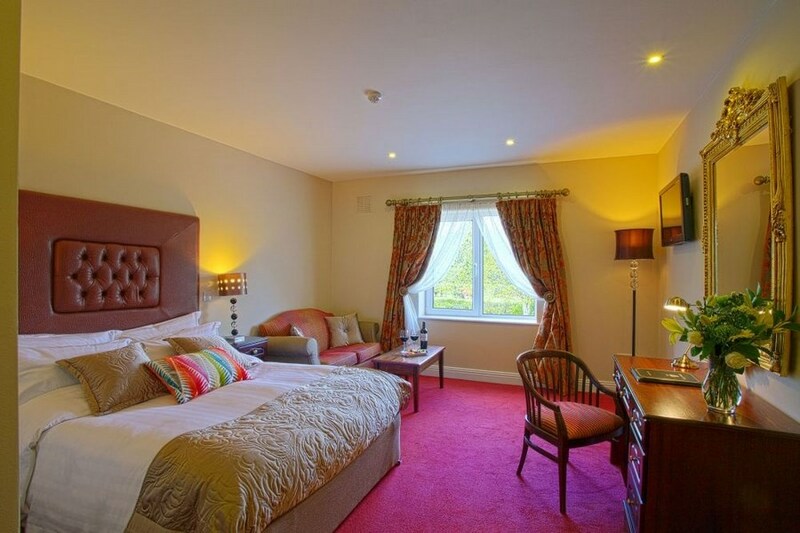 Situated at the edge of the beautifully quaint village of Adare, Co. Limerick, The Woodlands House is owned and managed by the Fitzgerald Family. This Adare hotel features the brand new State-of the-Art Revas Spa, one of the most popular Spa hotels in Limerick. It also has extensive facilities ideal for a leisure break. The Hotel offers free WiFi. Take N21 from Limerick,turn left at roundabout before Adare. Adare in County Limerick is steeped in history and set in the rich Golden Vale with ancient churches, world renowned thatched cottages and many ruins strewn along the banks of the majestic river Maigue. Went here on a two night mid week break with my mom! Must say it was fab! A really warm and welcoming atmosphere in this hotel. It was surprisingly busy for a Tuesday & Wednesday. I highly recommend Timmy Mc's Bistro. Wow is all I can say. Fabulous food in a very quirky setting. Service was phenomenal. The spa was unreal also. Highly recommend. Rooms were old styled but spotlessly clean and spacious! What more could you ask for? We upgraded to a newly refurbished room for a small fee(jet bath, living area with big lcd, top class deco etc..)and the room was better than all the 4 stars we had previously visited. The hot buffet breakfast was the best we have had in the whole of Ireland so far(everything you could name is there!). Customer service and the leisure centre were v.good. Negatives included the wifi signal being non-existent(by the leisure centre), my wife's seafood platter was not fresh(but main was v. good) and our room was situated right besides the laundry room which ran until 1am and started again at 8am the next morning. We could hear the humming noise at unsociable hours, which was quite odd. These negatives were not that big really in the scheme of things, as we got a bargain price and would be happy to return. Nice hotel good service and friendly staff had a slight problem with our room on arrival which was sorted out there and then by giving us another room straight away. The swimming pool was great well kept and the bistro has a nice feel with good food . Would have no problem recommending this hotel. Hi .I really enjoyed our recent stay at your hotel.We enjoyed the great food in the bistro ,the excellent service,the lovely staff and beautiful setting.I didn't get to use the spa this time however I hope to in our next stay.I got a really good blowdry in the salon in the morning from a lovely stylist . Only two small items to mention are-there was no shower gel in the container in the bathroom and the bedside lamp didn't work. These are only tiny issues and will in no way dissuade us from staying in your lovely hotel in the future. Many thanks. 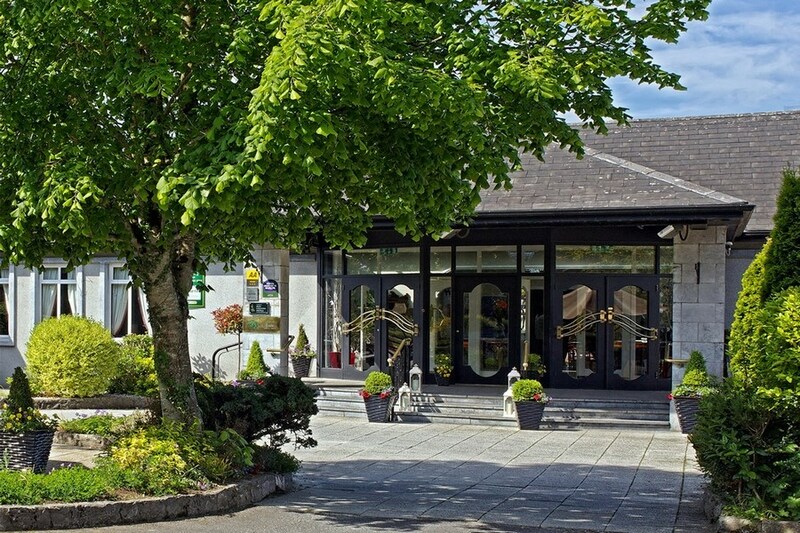 Excellent hotel, very friendly staff from arrival to departure, will most definately stay again, we spent 1 night there en route to Killarney and were very impressed. We really loved the Woodlands, the location was great and the service was excellent. The staff couldn't be more helpful. Our room was nicely decorated, really comfortable and had everything we needed. It's also a great place to stay for coeliacs - there were gluten free options for breakfast on request, most of the menu could be adapted and the staff were so aware of allergies. The bar even stocked gluten free beer! Our evening meal was delicious and even though the restaurant was full, we weren't rushed out and we hardly noticed how busy they were as our waitress was so in control of it all. Overall, we felt that we got an excellent deal and have already recommended it to friends!. Very friendly staff, had a huge room, pool facilities great. This is a great place for a getaway! Lovely hotel, fantastic surroundings. great food, polite staff. I enjoyed my stay the at Fitzgerald Woodlands Hotel. The kids club and the leisure centre were excellent and my girls enjoyed the facilities greatly. However, when i rang to confirm my booking with the Fitzgerald Woodlands Hotel they did not inform me that the hotel was under going renovations so there was painting and banging going on literally outside my bedroom door. The room i stayed in Room 210 was nicely decorated but there was a musty smell in the room and when i moved the armchair to sit onfront of the TV they was an old sausage on the carpet. However, despite all my kids had a great time there. There were signs up saying to excuse the mess while refurbishing and the place was starting to show it's age alright. Our sink had a huge crack in it and the lighting fixtures have seen better days. The food was excellent and the staff very friendly. There was no drinking water in the leisure facility which after the steam room and jacuzzi would have been refreshing, but the pool was lovely and the whole leisure area was clean. Have just spent a couple of days in the Woodlands. Have been here several times before, and have always enjoyed the ambiance of the hotel. Was not disappointed on this occasion either. The food was exceptional, and the staff really helpful and friendly. Will certainly return again very soon. John & Therese Swords. Dublin. We stayed over for a family wedding. Which was fab. Top class wedding meal. The room was spotless and very comfy! All the staff were very friendly at all times. Breakfast was good. A totally enjoyable short stay!! Lovely quick service when we arrived to the hotel. Rooms were lovely an clean but the Shower did not work in our room which was a bit of a downer... Great value for money tho... Keep up the great work and service. We had a lovely stay at The Fitzgerald Woodlands Hotel. It was a short break for my husband's birthday and even though i didn't ask for it they had birthday ballooons on the dining table on his birthday (nice touch). The hotel was spotlessly clean and the lobby area is beautiful as is the bar area too. Timmy Macs Bistro is lovely, unusual and quirky and they do lovely and very reasonable priced food. The Fieldings Dining room is elegant, perfect for a romantic occasion. The health spa we didn't use on this occasion although it looked fabulous. The leisure facilities we did use and wow! the pool is fab. Also lovely steam room/sauna and jacussi. Now for for a little negative point. There was a wedding reception on each night we were there. I loved it as there was so much going on but the disco bass beat kept me awake even though we were a good way away from the function room. It could be me as I am very noise sentitive and live in a very quiet area. Also when the music finally stopped at about 3am we were then kept awake by a succession of ignorant partygoers who felt it was good fun to chat and bang door in the corridors but that was not the hotels fault. Aside from that it was perfect and i haven't yet mentioned the fabulous gardens and surroundings, just wonderful. My three friends and I enjoyed a very relaxing night at Fitzgeralds Woodlands recently.The beds were so comfortable and the rooms spacious and clean. The staff were friendly and helpfull at all times. I would definately recomend this hotel for a nice weekend away. H.B. On a recent one night stay at Fitzgerald Woodlands we ejoyed lovely accomodatoin very' comfy ' beds and delicious food for dinner and breakfast. The staff were all very helpful and friendly especially at reception . We'll be back! Thanks. I stayed in the Fitzgerald Woodlands for 2 nights, with my daughter. We had a fab time. The food in Timmy Macs is beautiful. 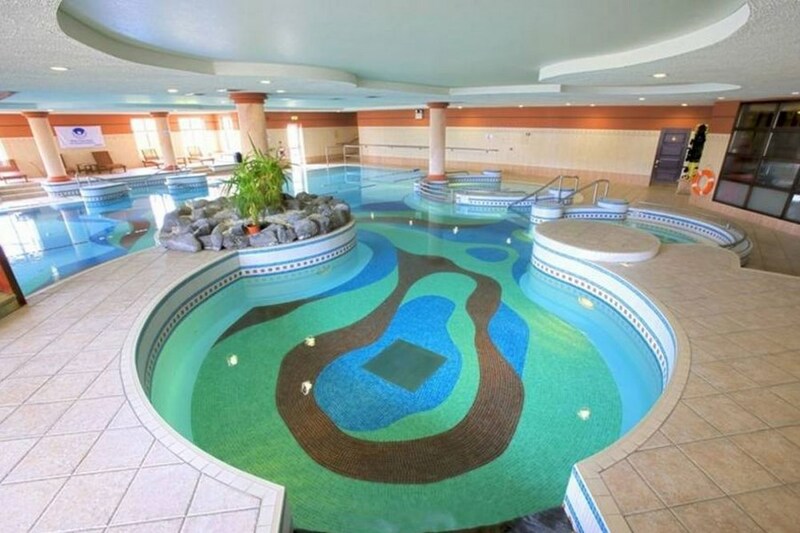 The swimming pool was one of the best I have ever seen in an Irish hotel. Although my daughter did not use the kids club the activities provided looked great. I work in a busy family friendly hotel myself and I will be advising my management of the facilities for children the Woodlands offers. I will defiantly be returning to the Woodlands. I really enjoyed the break at Fitzgerald's Woodlands Hotel. Staff are friendly and helpful, breakfast and dinner were excellent. I highly recommend this Hotel.